Miracle Thread makes wrapping bait on lures and plugs, quick and easy. 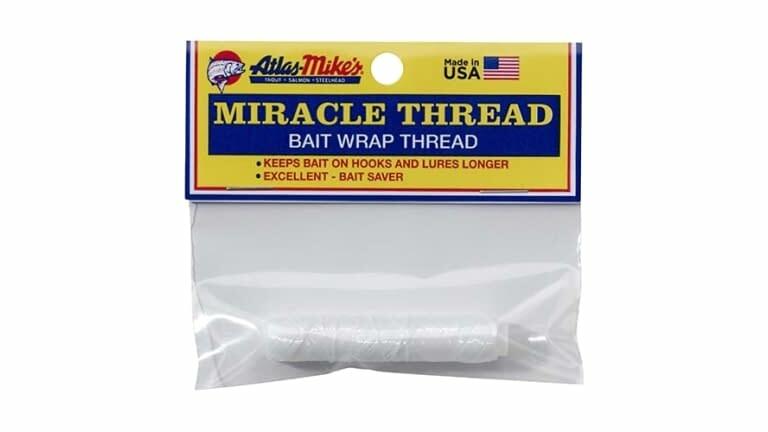 Wrap Miracle Thread over bait to hold firmly in place, and then break off. That's all - no knotting required. Miracle Thread is thin, clear and strong, holding your bait in place without being noticed by fish. Use with herring, sardine, prawn, shrimp, salmon roe, crayfish, etc.. Now also available in convenient dispenser...keeps thread neat and clean.